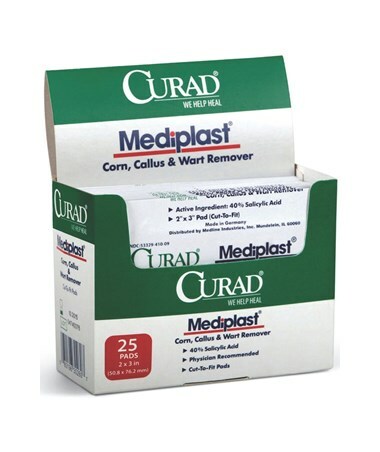 Curad Mediplast is an ideal product for corns, calluses and warts. The cut-to-fit pads are convenient and easy to use. The active ingredient, Salicylic Acid (40%), is widely recommended by physicians and pharmacists for the removal of corns, calluses and warts. 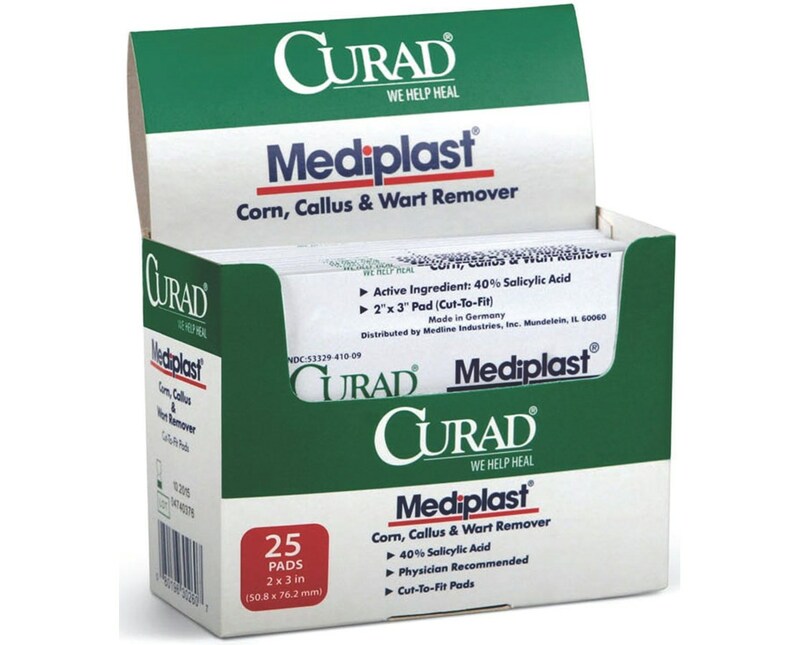 Curad Mediplast Wart Pads are latex-free, measure 3" x 2", non-sterile, and come in retail packaging. CUR01496: 1 Case of 6 Boxes, 25 Pads per box, 150 total pads.